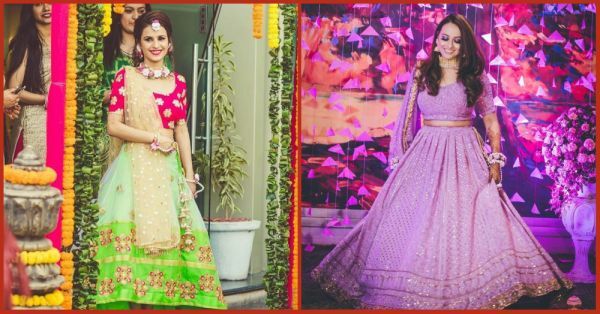 10 Brides And Their Lehengas Styles That'll Be All The Rage This Shaadi Season! Gone are the days when the standard 'uniform' for a bride was a red embroidered lehenga, paired with gold jewellery and gajra strings in her hair. Now it's all about experimenting and being as hatke on your wedding day as possible. 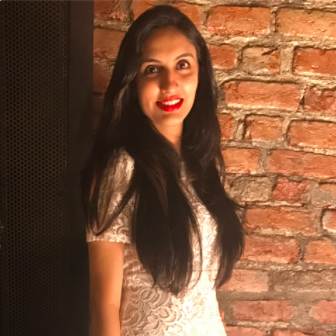 Millenial brides are picking out outfits with the most unique colours, designs and fabrics for their wedding functions. And honestly, they are goals! All you 2018 brides-to-be, here are some real dulhans, to give you all the inspiration you need for your wedding outfits. Not only are we loving this stunning bride's unique choice of colour for her mehendi lehenga, but her perfectly colour coordinated floral jewellery is giving us some major accessory goals too! Floral jewellery isn't a new concept but one should always keep experimenting with new colours and styles. The gota detailing on her embroidered lehenga is super pretty too! Papa Don't Preach by Shubhika is one brand that is famous for it's super quirky and super funky lehengas. Shubhika comes up with the most hatke colour combinations and patterns and that's what makes every PDP bride stand out, just like the beautiful actress Shweta Tripathi here! Monotones are classy, but we feel that it's a great idea to go slightly overboard with colours when it comes to picking your mehendi outfit. We are loving the gorgeous colour-blocked magenta and green lehenga this bride chose for her mehendi function. It's so vibrant and the uneven hemline of the skirt is quite a cool twist to the traditional lehenga. How can we not fall in love with a bride who opts for a classy black lehenga for one of her wedding functions? It's a unique choice because traditionally brides are asked to avoid wearing black. And this beautiful outfit is a combination of so many amazing things - the black skirt is made of velvet with gold embroidery, the golden choli has a net neckline design and the sleeves are adorned with tassels. So many cool trends in just one outfit! A beautiful lehenga by none other than the master of bridal outfits - Sabyasachi Mukherjee. Apart from the stunning colour, the leheriya dupatta is a great addition to the look. 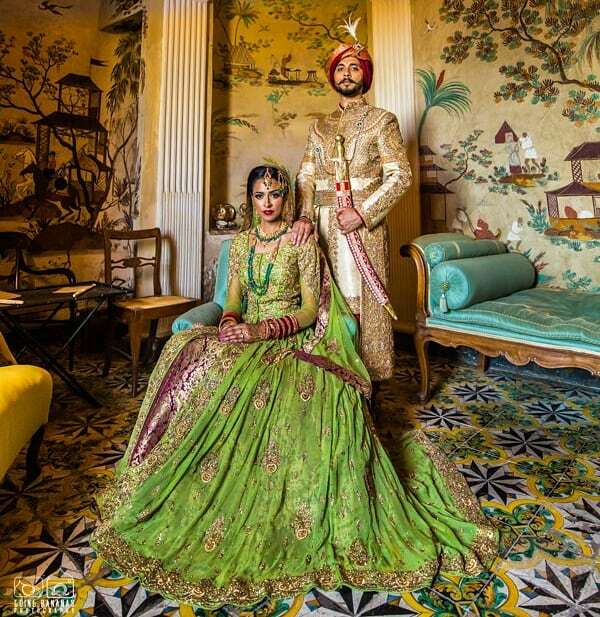 The outfit is a deadly combination of three things we just can't resist - a beautiful bride, Sabyasachi and a brocade lehenga in the prettiest shade of green. And oh, the pristine white floral dupatta is making our hearts flutter! We can bet you've never seen a bride wearing a lehenga with a colour combination as unique as this one. Classic red with an eccentric blue, now that's something! 8. Pink and silver, FTW! Manish Malhotra knows how to create a masterpiece of an outfit and this bride's pretty pink and silver lehenga is proof of that. The tassel blouse and dupatta and the heavily embellished skirt are all you need to look like a star bride on your big day. After all, no amount of bling is too much for a bride! This stunning bride dazzled in her gorgeous green lehenga that was all things pretty and all things flowy. The heavy golden and purple border is adding to that regal look and we're totally diggin' it! Adding a belt to your lehenga can instantly make it look 10 times classier and when the belt is a part of Sabyasachi's collection, you know it will have double the impact. That's enough inspo for the day, now you better go and plan a kickass outfit for yourself!